Moore told reporters Tuesday that 29-year-old suspect Eric Holder and Hussle knew each other, but the chief didn’t disclose any details about the nature of the dispute or how the two men knew each other. Moore said he was devastated by the killing of Hussle, who was shot outside his South Los Angeles clothing store on Sunday, a day before they were to have a meeting about the relationship between police and the inner city. The chief said the attacker had repeatedly walked up to the artist and spoke to him, and then returned with a gun and opened fire. Moore said Holder fled in a car driven by an unidentified woman. Earlier, police said they believe Holder fled the scene in a 2016 Chevy Cruze that was waiting in an adjacent alley and was driven by an unidentified woman. Police are asking for the public’s help in finding Holder. Details about Holder were released shortly after 19 people were taken to local hospitals — two in critical condition — after a vigil for Hussle turned violent Monday night. At least one of the critically injured people was struck by a car, and the other one had a “penetrating injury,” although it’s unclear whether that person was stabbed or cut by broken glass. Two other injuries were serious and 15 were considered non-life threatening. 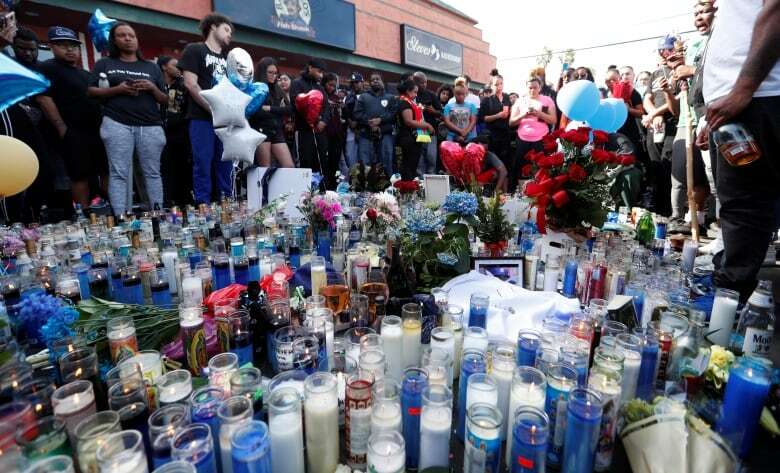 The vigil was held outside The Marathon clothing store where Hussle hoped to spark revitalization for the neighbourhood where he grew up. Hussle, 33, and his business partner purchased property in the Crenshaw neighbourhood, intending to knock it down and erect a six-storey residential building atop a commercial plaza, with The Marathon as its anchor. By Monday, hundreds of people formed a circle in front of the closed store to pay their respects. A memorial of candles, flowers and paintings of Hussle took shape in front of the store and in the parking lot. Blaring loudly through several speakers, some of Hussle’s popular songs were being played including The Weather, Double Up and Hussle & Motivate. 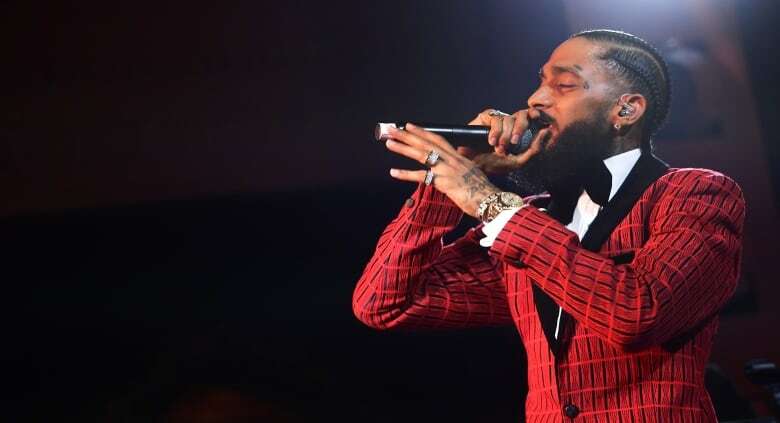 Hussle said his stage name, a play on the 1960s and `70s rhyming standup comic Nipsey Russell, was given to him as a teen by an older friend because he was such a go-getter — always hustling. Last year he hit new heights with Victory Lap, his critically acclaimed major-label debut album on Atlantic Records that made several critics’ best-of lists. The album debuted at No. 4 on Billboard’s 200 albums charts and featured collaborations with Kendrick Lamar and CeeLo Green. It got him a Grammy nomination, though he lost out to Cardi B’s Invasion of Privacy.